Forty Eight Years ago I met the love of my life. Two years later I left to serve a mission in England for two years. Cathy waited for me and when I returned we were married in the Salt Lake Temple for Eternity. Thirteen months later we were so excited to welcome Rebecca into the world and especially to our family. We were living in Colorado at the time where I was serving in the United States Air Force. Our family grew quickly as Rachael joined us two years later, then another two years and we finally had a son, Allen. 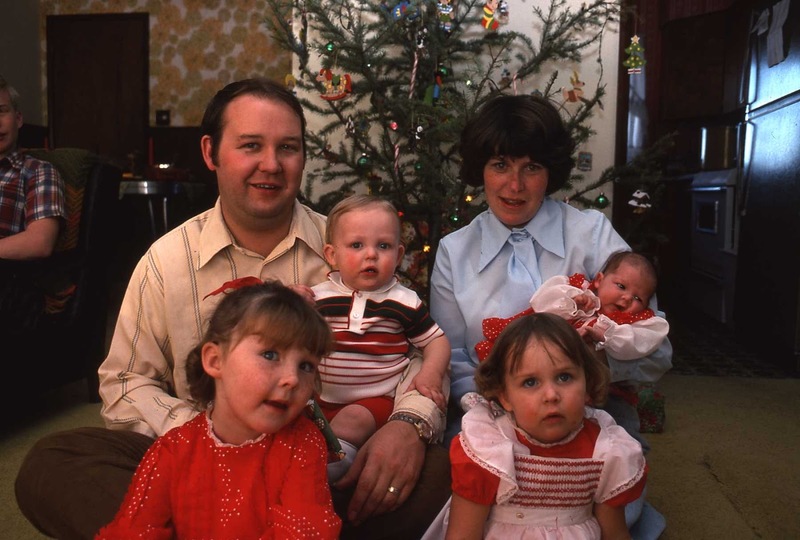 Fourteen months later our family was complete with the birth of Jessica. Four months ago we had our farewell as we prepared to leave our every growing family which now includes Fourteen Grand Children. This picture was taken that day and hangs in our apartment to remind us of why we are here. Quoting one of my grandkids, “because we are a family that serves”. These pictures are kind of random as is our life. This was taken on a snowy Sunday afternoon when we were sent home from church early to dig ourselves and our neighbors out from an unusually heavy and deep snow storm. We finished the work with the fun of building a very large snowman and painting him with food coloring. We were so disappointed a couple days later when the city road crews decided we should not have a large snowman in the middle of circle so they pushed it down with their big snow plow. Two years ago we took a trip to England to see the areas where I served as a missionary 43 years earlier. It was so fun to visit old friends and show Cathy the places that I had learned to love. This picture is in a forest of Blue Bells, one of the most beautiful places we have ever visited and being with forever friends made it even better. Last August my Mother passed away at the age of 92. These picture were taken last fall at her home and yard where she had lived since 1946. There are so many memories here of childhood all the way to the present day. It was a beautiful sweet experience to walk around with Cathy and our daughter Rachael as she took pictures of us and Mom and Dad’s place. The best thing is that I get to spend every minute of every day with my best friend and sweetheart. Serving a mission with my wife is such a sweet experience. Today is her birthday and all I have for her is a card but I know there is nothing else she wants. Yesterday we went to the mall to buy groceries and a few things we needed for the office. She sent me to the car with our packages because it is a hassle to take packages from one store to another. On the way back I stepped into a bakery to see if they had a cake or something that she might like. I did not find anything so started to leave. Just then my phone rang so I looked at it as I proceeded out of the store. Unfortunately, I was about three feet to the right of the door way and walked into the glass front of the store with quite a bang. I looked like the pictures you see in the movie theaters advising you not to text and drive. I felt silly, embarrassed and have a little bruise on my forehead. I didn’t tell Cathy about it so hopefully she will get a good laugh when she reads this. It is so rare for us to be apart for even a few minutes it is odd that something like this could happen since she is always there to mitigate my stupidity. This final picture is of Cathy a few days ago teaching a My Path to Self-Reliance Devotional. She is a wonderful teacher. She has been a teacher as long as I have known her. When she was in high school she would often teach sewing to younger children in her neighborhood. When she was going to the University of Utah she worked in the costume department at Pioneer Memorial Theater and was often found teaching the teachers who had been there for many many years better ways to make costumes. She did the same thing when she worked at the old Promised Valley Play House in Salt Lake City. While I was on my mission to England and until we moved to Colorado she taught sewing at Singer in the old Cottonwood Mall. 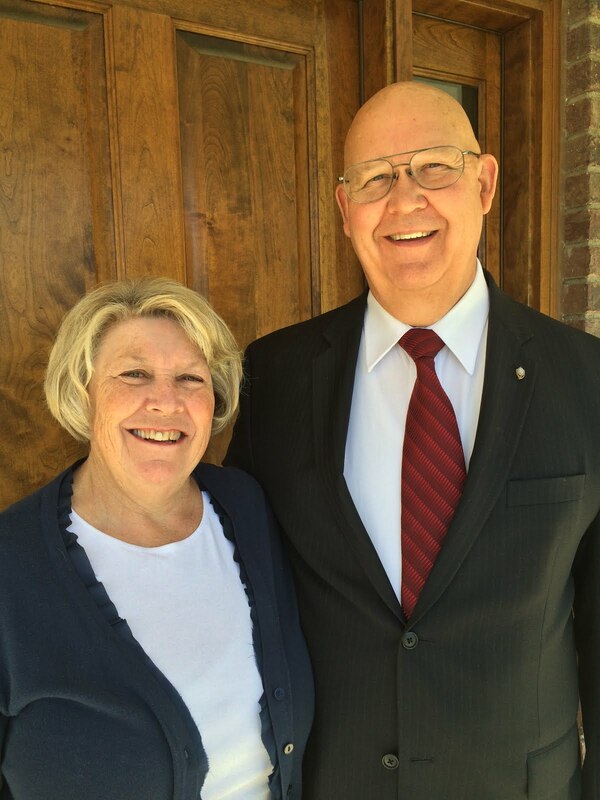 She has always been a wonderful teacher in church teaching Primary, Sunday School, Relief Society and Gospel Doctrine. She would spend many hours in preparation for her lessons. Besides all this I know that her children and grandchildren will attest to all the wonderful teachings she has given them. So, on your 65th birthday Cathy, I don’t have a big party planned with all our friends and family coming to see you. I just have my love, admiration and appreciation for the 43 years we have been married and for being sealed to you for Eternity. Recently we went to the furthest branch from where we live. We stayed two nights in Candon and visited four different wards and branches in the Baguio mission. It was an awesome trip and we met some wonderful people who work so hard and give so much to the Lord. The faith and dedication of these members is simply amazing. In Candon we met with some members and made a video recording of the success they have experienced from attending the Self-Reliance Group, Starting and Growing My Business. This family has an appliance repair business where they repair TV’s, Videoke machines, fans and other small appliances. We also had the opportunity to do some mentoring and give him some additional suggestions to improve his business. We also had a mentoring session with a recent graduate in IT Services in Baguio to help him with his new business. We had a very good training session for leaders of Self-Reliance, Bishops and other stake leaders. The second day we traveled to Bangued. We met with leaders there and then went to visit other members who have been successful with Self-reliance groups. The highlight of the trip for us was going to meet Gina Molina Olman. She is about 25 years old, a return missionary and is currently serving as Relief Society President in Bangued Branch and their two dependent branches. She is the seminary teacher in their branch and she teaches seminary every evening. She also teaches Sunday school and institute. The family home where is lives is about 1 km from the road, to get to their home, we walked from the road where we parked, through the trees and next to the rice paddies. It was beautiful but like walking through a rainforest with slacks, white shirt and tie and dress shoes, and for Sister Anderson, a skirt and blouse and certainly not appropriate shoes for the terrain. It had rained really hard the night before so the ground was very wet and slippery. We kept having to cross the little streams, one place It was wider and there were two bamboo poles about 3 or 4 inches in diameter, side by side, used for a bridge. I thought sure that Sister Anderson was going to quit at that point but not a word, she just stepped out there and went across. Amazing! And then the stories we learned from the family that lives there. They have a piggery next to their home and the hike we made is the only way in or out. Sister Olman’s parents own the farm and she lives there and runs the family business. She told me that she carries bags of feed, I think she said they are 40 kg (about 90lbs) on her head. Then when the young pigs are ready for market, I assumed they would walk the pigs out but no, they carry them. She said they would take all day to walk out so they tie the front legs together and then the back legs together and put a bamboo pole between them, and walk out with the pigs upside down, one person in the front and one in the back. Can you imagine! Rain or shine, she walks out every afternoon to go to the church to teach seminary. It takes about 20 minutes to walk to the road and then the rest of the hour to drive their trike to the church. Then after seminary she has to come back home so she walks through all that in the dark and gets home about 8 or 9 pm. Sometimes if it is raining hard or has been raining she takes off her flip flops and walks barefoot through mud up to or past her ankles. I just keep singing “Count your many blessings, name them one by one”. 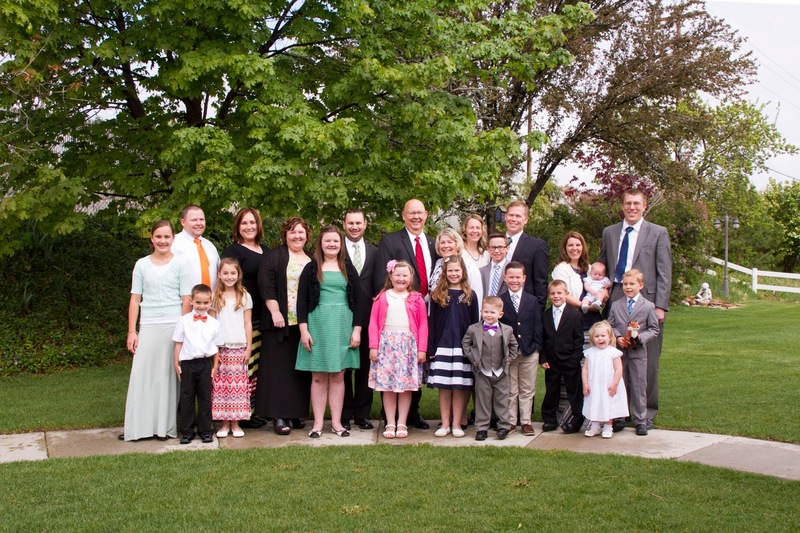 She was the only member of her family when she went on her mission and she prayed hard every day for some missionaries to find and teach her family. Then she received a baptism picture of her Mom and Dad. When she returned home they were ready to go to the temple. She is now married to a return missionary. I could go on and on but I will tell you one more thing. She had been praying for a way to help the families she visits as Relief Society President become self-reliant so they could have enough money for fare to attend church. Then she was offered a distributorship of some meat products that she buys and distributes to 10 or more families who sell them and now have the money to attend church. So that is just one example of the stories we see day after day and that is why we have changed our minds, we thought we were coming to the Philippines to teach the people but we quickly found that we are here to learn and be taught by them.